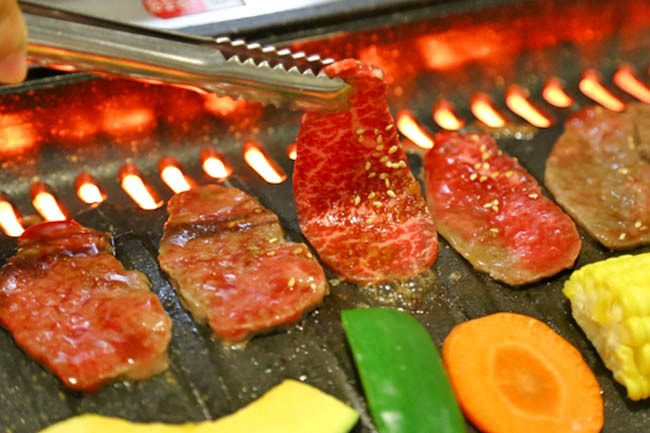 [Updated May 2015] In conjunction with SG50, Tenkaichi is launching their BEST DEAL EVER – Premium BBQ Buffet with free flow wagyu beef at only $50.00+ (weekdays) and $55.00+ (weekends). They have also brought in Hokkaido Wagyu Beef! – $50++ for Premium BBQ Buffet on weekdays, and $55++ on weekends (Same prices for both lunch and dinner). – Valid from 25th May 2015 to 30th June 2015. 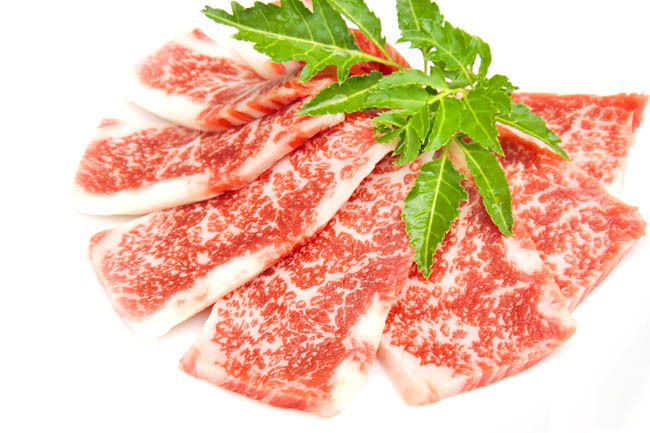 – Premium BBQ Buffet now includes newly imported Hokkaido Wagyu Beef. 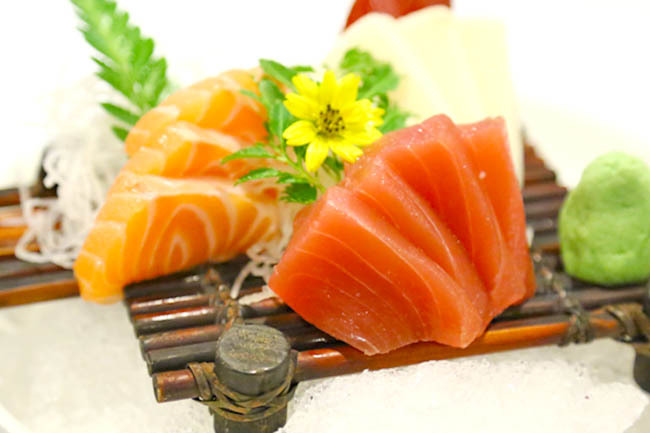 Spread includes free flow wagyu, sashimi, scallops, seafood, and more. – Minimum 2 pax dine-in. – Reservations must be made at least 1 day in advance and strictly through Tenkaichi’s website at www.tenkaichi.com.sg. [Original Entry] Tenkaichi Japanese Restaurant at City Gate (Keypoint) has launched a ‘The Best of Japan’ BBQ Ala-Carte Premium Buffet which offers free flow Wagyu Beef, Sashimi, Scallops and Oysters. Sounds like a very good deal. The buffet restaurant has also decided to go ahead with a price guarantee. As long as customers are able to find a similar buffet at a better price, they will beat it by 10%. A Deluxe BBQ Buffet which includes free flow sashimi, premium beef, pork (pork belly, loin, collar and even cheek fillet), seafood such as prawn, mackerel, white tuna and seabream is at $39.80++ (Mon-Thurs) and $44.80++ (Fri-Sun) respectively. The Premium BBQ Buffet’s highlight is the offering of Wagyu Tataki, Karubi (short rib), Rosu (rib eye cap), Yukke (marinated wagyu beef), Ox Tongue, Hotate and Sashimi at $64.80++ (Mon-Thurs) and $69.80++ (Fri-Sun). The marbling score of the wagyu is at 7+. What I liked about it was the items are served to you ala-carte style in small dishes, so you can dine in comfort, and the group is able to try quite a sizable variety. I particularly enjoyed the freshness of the Wagyu Karubi and Ton Toro. While the pork cheek fillet could be slightly tough (so note not to overcook the slices), they were evenly marinated and tasty. Fortunately, the restaurant did not go over on the seasoning so you can still taste the naturalness of the meats. And the wagyu are only sliced when an order is placed. 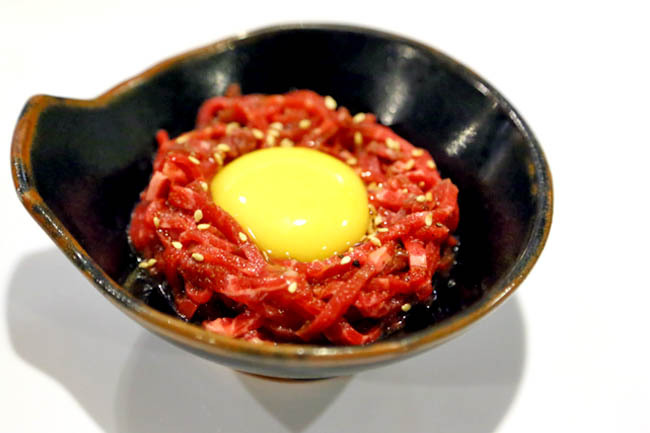 The Wagyu Beef Yukke came with an egg yolk. Yes, you have it raw, and mixed, and surprisingly was more delicious than disgusting – you just need to get across any possible psychological barrier. Tenkaichi’s owner and head chef was once from Japan’s high-end Yakiniku restaurant Jojoen at Roppongi, and eventually stepped out to helm his own. 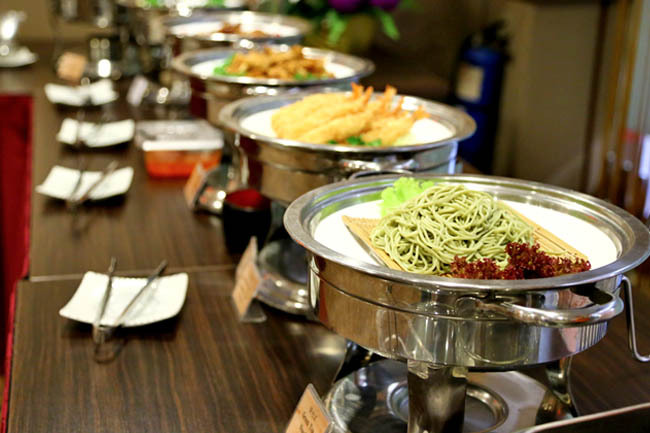 On the other side of the restaurant is a cooked food section where you can gather items of Japanese fried rice and noodles, sushi, tempura, soba noodles and cooked meat dishes to complement the BBQ food. The food could have turned cold later in the day because they were placed directly under the air-con, but rest assured they are all freshly prepared daily. To be truthful, I had my reservations about Tenkaichi initially. 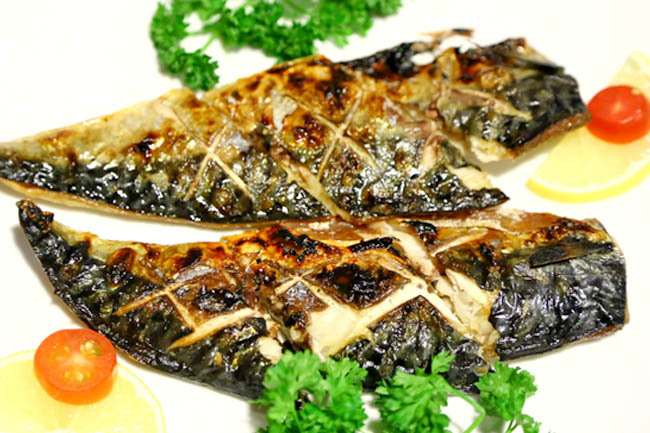 The restaurant is located at Citygate Beach Road, not the most glamorous of places. The décor is nothing much to speak of as well, previously converted from a Chinese restaurant. If you are willing to look beyond that, the type, variety and quality of foods provided can be well-worth the money. It is not all the time you can get buffet with wagyu at that price, with a guarantee. 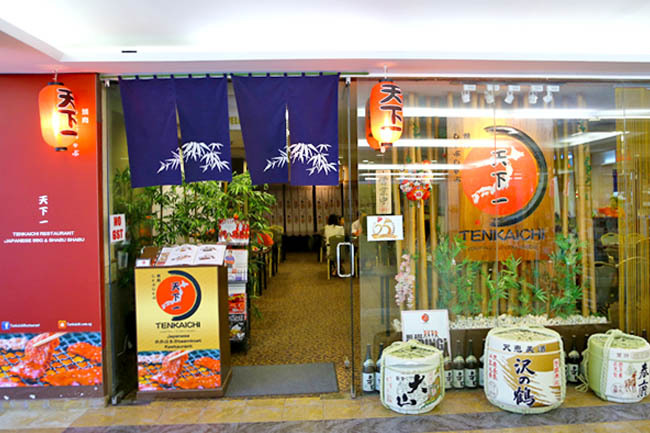 Tenkaichi Japanese Restaurant will be rewarding 2 readers from DanielFoodDiary.com with a pair of Deluxe Buffet BBQ worth $89.60! 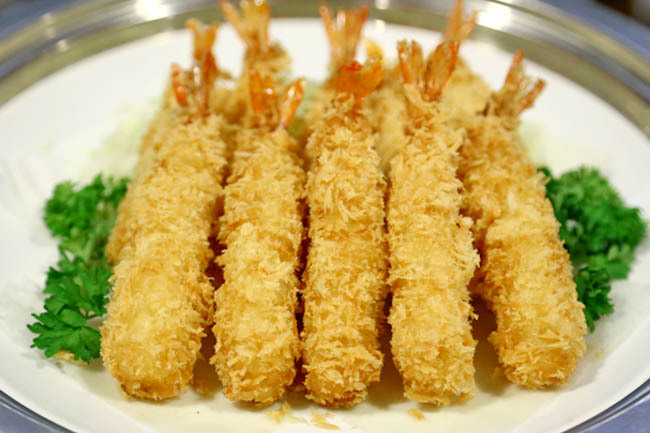 Step 3 – COMMENT below: What is one item that Tenkaichi Japanese Restaurant serves? * This entry is brought to you in partnership with Tenkaichi. Previous comment with wrong email address. Tenkaichi Japanese Restaurant serves Wagyu Beef Yukke! I love beef tartare! Wagyu karubi!! yum yum :)! Tenkaichi Japanese Restaurant serves Wagyu Tataki! because my bf and i love eating and our dates are always ended up on food hunt !! <3 <3 <3 <3 <3 <3 <3 <3 <3 <3 <3 <3 <3 ! Liked and shared. I love Japanese food! Definitely the best Wagyu Beef Yukke in town!! Always game for good food, especially good beef! I WAN WAYGU BEED YUKKE!!! Hope to win the treat with my elder brother because he had change a new job!! hope to win this and give him a treat to celebrate with him we love beef!! but we had never try Wagyu Beef before!! Wagyu Tataki karubi. But there's so many other! Yums. Liked and shared! Tenkaichi serves Wagyu beef Yukke! So hope that I can share this with my loved ones! Liked and shared . I love to eat Japanese food. Would like to bring my family if I won it. Thks merry Christmas. Liked and Shared! I would absolutely like to bring my girlfriend Melissa Lim to try the Wagyu Karubi described by you! Liked and shared! Tenkaichi serves Wagyu Beef Yukke! Liked & shared! Can't wait to try it! Tenkaichi Japanese Restaurant serves Wagyu Beef Yukke! Liked and shared! Keep my fingers crossed! Wagyu Tataki!!! Liked and shared too!!! Yeah! Value for Money. Agreed! Tenkaichi Japanese Restaurant serves awesome Wagyu Tataki! LIked and shared. Wagyu Tataki. Liked and share. Madly in love with their wagyu tataki ! Liked n shared! Would love to try out its food! Pls give me this chance!!! Tenkaichi Japanese Restaurant serves Wagyu Beef Yukke! Liked and shared! Wish me the best of luck!! 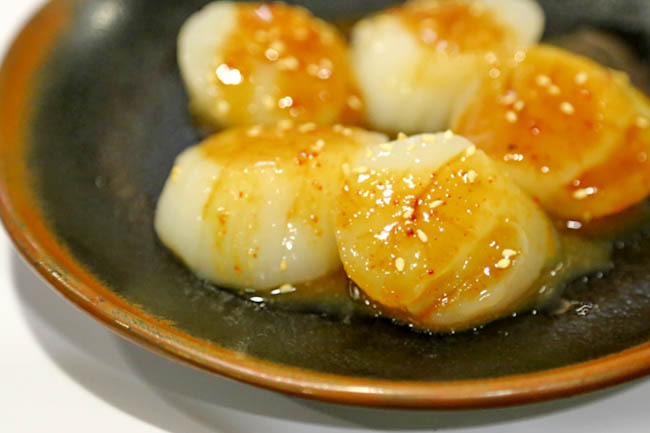 I saw one of the things i dun mind having unlimited supply of… Scallops .. soft bouncy white bites of the sea ! And of course wagyu beef.. Your pictures are making me hungry ! I love beefs!!! Liked and shared!!!!! best place for meat lovers !!! They serve beef tongue! Interesting (: Please let me win a pair of tickets so that I can bring my boyfriend to try the beef yukke that I love so much! Wagyu rosu is the best! Tried it once and want to savor it again! Hope I can win . tenkaichi Japanese BBQ restaurant serves wagyu karubi! nomn yummy! Love the wagyu beef and the scallops served at Tenkaichi Jap Restaurant!!! Loving them! Yummy! Audrey Sim Goh I hope we win the deluxe bbq buffet to celebrate our wedding anniversary! Wagyu Karubi and Wagyu Beef Yukke! Super Yums! Liked and shared! Woots this is awesomelicious! Would love to try with hubby! 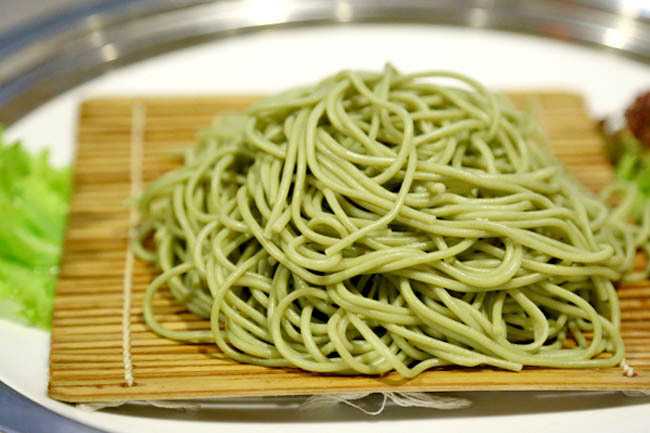 Definitely its worth having a meal at tenkaichi. Wagyu Beef Yukke !!! looks good to me!!! They are all my favourite! But if i wanna choose one, it’ll be the Wagyu Beef Yukke! 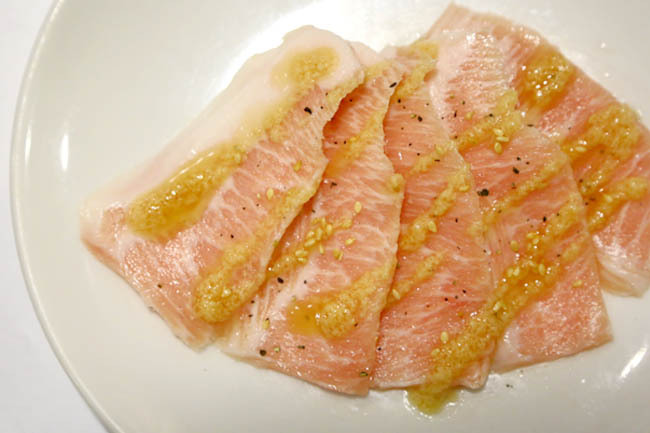 I cannot wait to try Tenkaichi’s BBQ Wagyu Karubi! I would love to try this wagyu beef! Yummy! Yukke (marinated wagyu beef) ! Like and shared. Want to try their buffet! Tenkaichi serves Wagyu beef Yukke! why is everyone answering the same answer tho? Liked and Shared to all my good friends. Yummy!! thanks for the great recommendation as usual!! Would wanna try this delicious food! Wagyu Beef Yukke which melts my heart each time I savour it! Tenkaichi offers ‘The Best of Japan’ BBQ Ala-Carte Premium Buffet with wagyu from $64.80++! 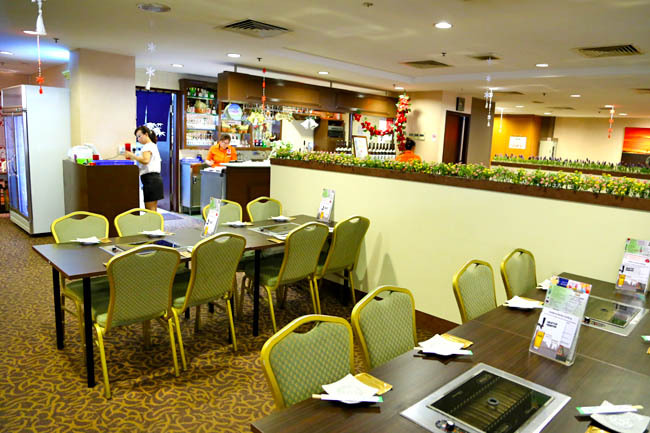 If you find a similar buffet elsewhere for a lesser price, they will be giving you a discount. I want! I want!!! Ala carte premium buffet with WAGYU BEEF!! !Gosh look how juicy they are!!! Liked & Shared the post! Thanks for organising this giveaway to reward your loyal readers. It takes a lot of dedication to keep this passion going and your posts are incredible. The edifying support is a testament to your endearing efforts to promote food and I always turn to your blog to get inspiration on where to go when I plan gatherings! 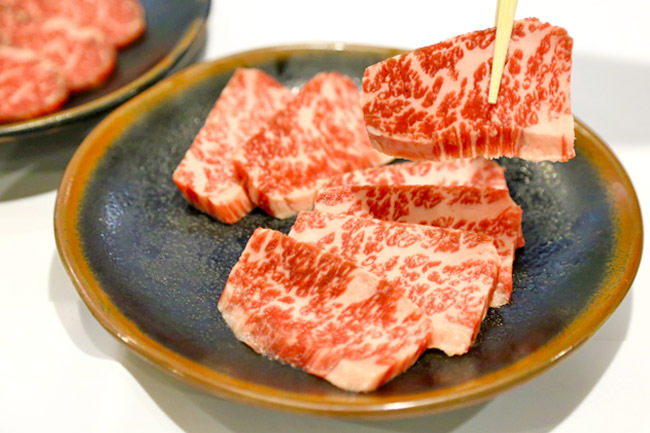 I am a huge fan of Japanese cuisine and the premium Wagyu beef, especially beef yukke, looks exceptionally inviting. I really hope to win this giveaway and nothing beats premium and top, fine-quality beef to celebrate this Christmas with my loved one. Thanks for organising this giveaway and have a great year ahead. The Waygu Beef Yukke looks too good to not have have it! 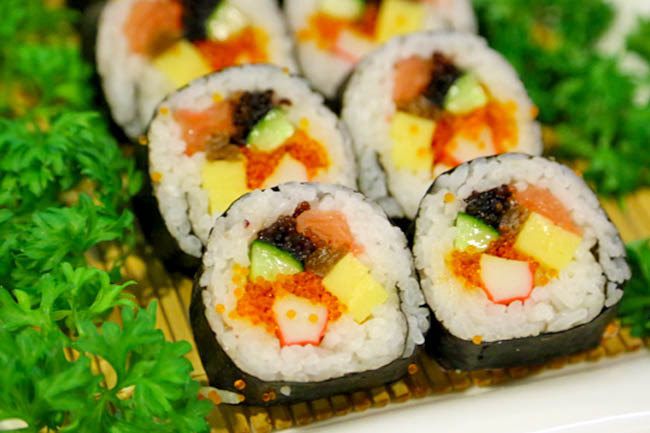 Congrats to Siew Chin and Low Kok Whye for winning 2 deluxe buffets each from Tenkaichi﻿ Japanese restaurant. Please email to DanielFoodDiary@gmail.com with your contact details. Merry Christmas! Wakyu beef is my favourite! Wagyu beef and sashimi! 2 of my favourite food! Wagyu beef Yukke! Time to try some raw beef!